Combine harvester. Price - 62 000, header - 12 500. Two engines to choose from: 145 and 155 hp Maximum speed - 22 km / h, back - 15 km / h, working - 8 km / h. Bunker - 3,000 liters. Tank - 300 l. Work light. Soiled and washed. The effect of aging. Floating header, will not hang on bumps. Rear axle is not separate. Claims to the Giants. 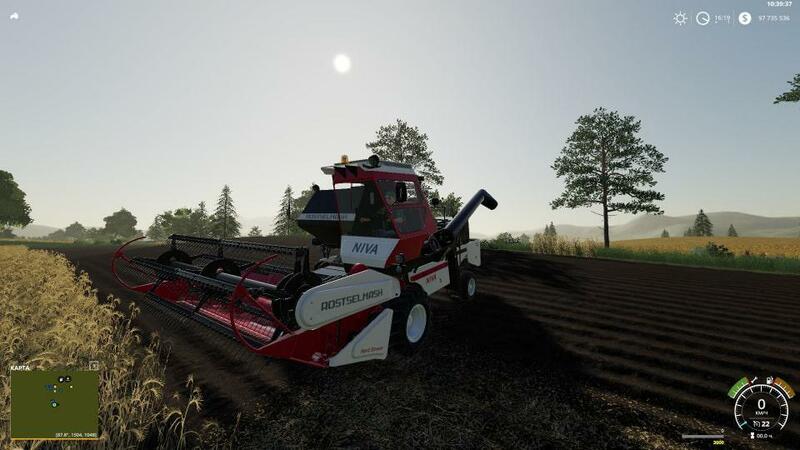 The price is too high for balance, since the new combine in Russia costs 38,000 Euros. Do not judge strictly! I am a converter, I'm just learning!